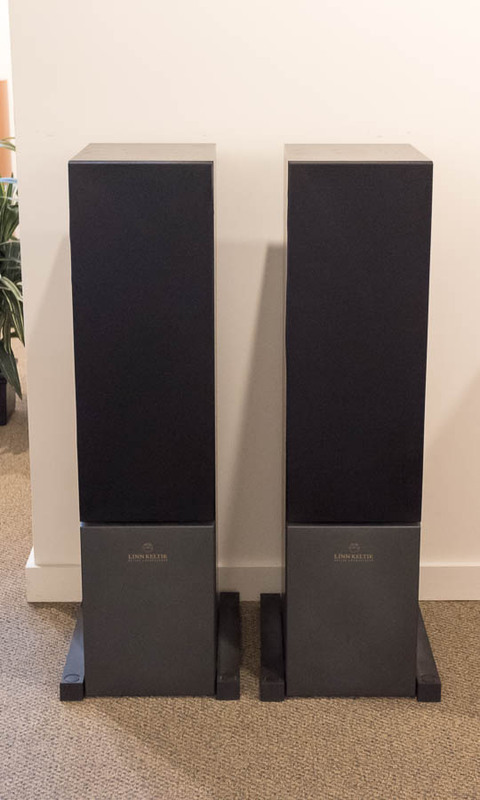 Linn’s top model at the time, the Keltik speakers are a powerful, very full range performer. Works best near the wall so easy to site in the room. The Keltiks only work in an aktiv configuration, so you’ll need three stereo amps or a six channel power amp. Linn aktiv crossover cards included. We have a used pair of Keltiks in black ash with no box or packing so local pickup only, and a consignment pair in walnut which does have box and packing. Please ask for more information and for details on compatibility with your amplifiers.